Capitol Opera Companies, Inc. is a non-profit / community-benefit corporation founded for the purpose of providing performing opportunities for developing artists and bringing affordable opera to the communities it represents. 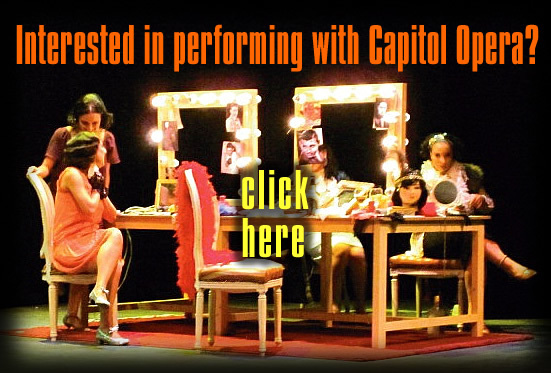 Capitol Operas Sacramento, Harrisburg, Raleigh, Albany, & Richmond are all branches of Capitol Opera Companies, Inc.
to the online home of Capitol Opera . Please explore our site to learn more about us!